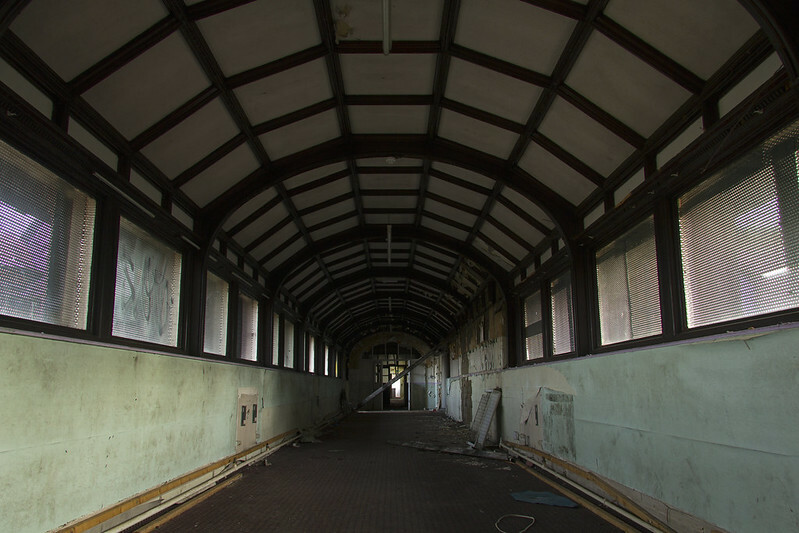 Our first explore of 2014 saw us visit Paisley’s Royal Alexandra Infirmary in Renfrewshire. The Royal Alexandra Infirmary, or as it was more commonly known the RAI, has existed in some shape or form since the 1700s. It originally provided out-patient and pharmacy services and later became a full infirmary around 1850. In 1900 the site of the infirmary was moved and a new building was erected, which is what remains today. Part of the current site was redeveloped into modern flats including some of the main building however was never completed. 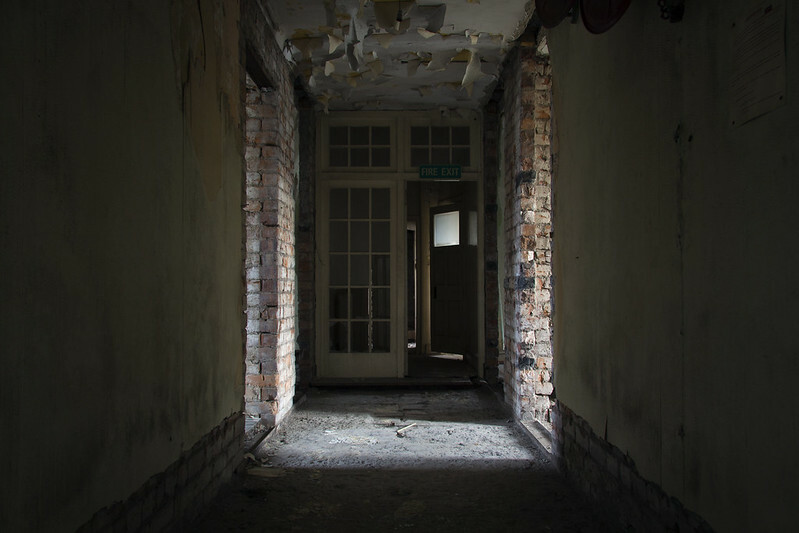 It has been subjected to vandals and metal thieves since work stopped and the building is now in a fairly sorry state, however to the untrained eye it does look structurally sound. In 1986 a new hospital, the Royal Alexandra Hospital, was built close by resulting in the closure of the infirmary. 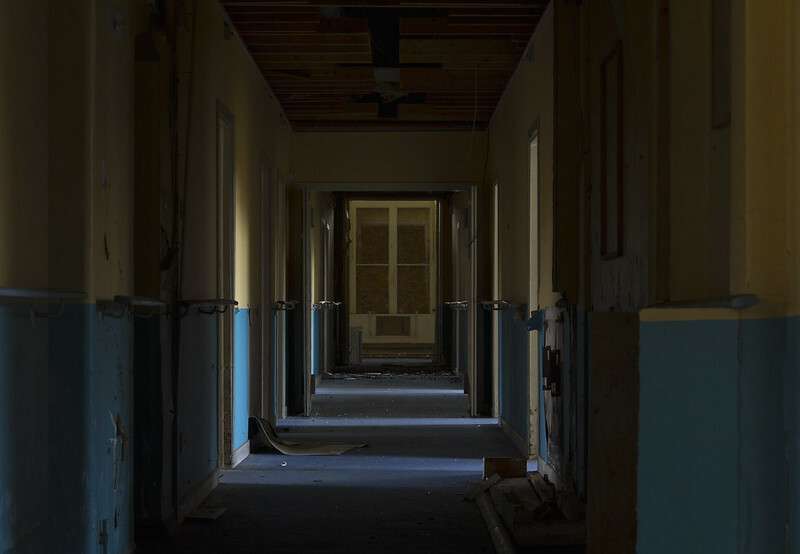 Part of the building remained in use as a nursing home until that closed around 2008. 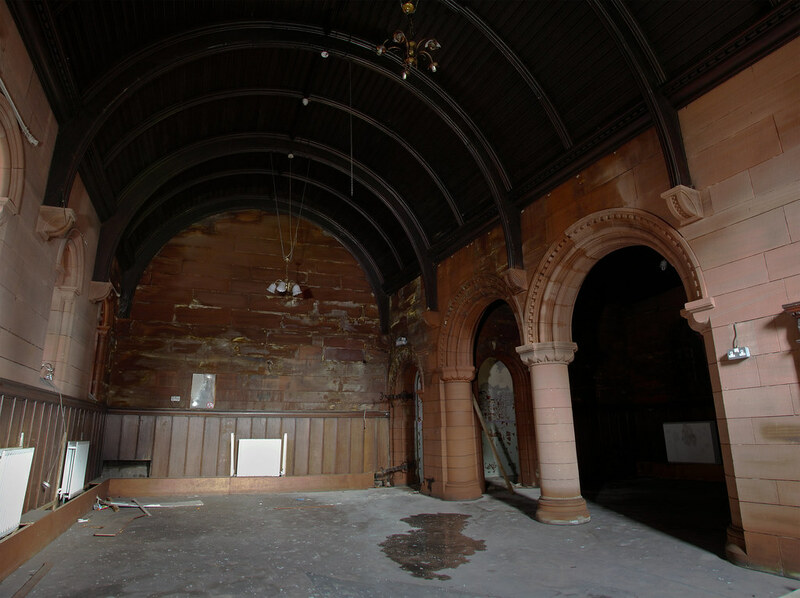 It has been sad to watch the slow decline of the building thanks in part to people who wish to make a quick bit of cash and the local neds who insist on vandalising what is left. 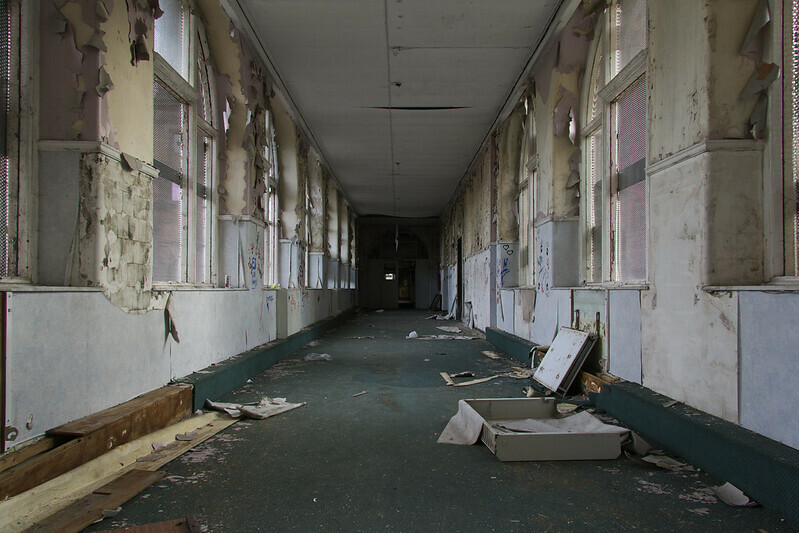 As can be seen from our photographs there is not much of interest left within the Royal Alexandra Infirmary, with the majority of the small rooms stripped of anything of value. We did come across one part of the building which we did not expect to and that was a small church/chapel which still remained in good condition. Part of the tiled floor was just visible through the dirt and grime which has built up in recent years. Make sure to favourite the website with new posts of our explores due on a regular basis. I want to know too. I’ve been in a few times. probably. there usually is in these kinds of places. Is the building still standing? I’d love to explore it but I don’t know where in Paisley it is!